Thomas Brinkmann, Country Manager at FRISS for Greece and Cyprus, is specialized in P&C insurance management. Brinkmann explains how risk mitigation can improve the underwriting and pricing processes for European underwriters. Having a clear picture of potential customers helps to prevent fraud and minimize risk before customers enter an insurance portfolio. Whether embedded in the internal IT systems or documented somewhere on paper, all underwriters use rules and guidelines to decide; to decide if a prospective insured is accepted or rejected. 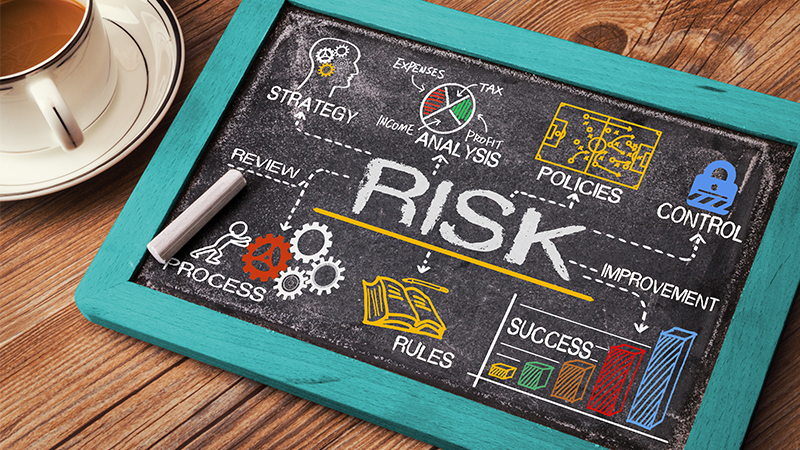 These guidelines outline the insurer’s risk appetite. It defines which type of risk is accepted, rejected or accepted under customized conditions. Guidelines are an important means to achieve the desired portfolio quality. The insurance premiums are calculated by using different pricing parameters, based on the insured object, the cover plan and the risk profile of the potential customer. The biggest challenge in the underwriting process is to increase the control by avoiding increased risks and potential fraud. In my opinion, extensive data verification is crucial for risk mitigation. I hear underwriters everywhere ask why risk mitigation is necessary. Especially when their guidelines already exclude high risks and their pricing parameters consider the specific risk profiles. Well, in my experience, underwriting guidelines are usually one-dimensional and high-level. For example: an insurer decides not to offer comprehensive insurance for vehicles older than ten years. Or the insurer decides not to make a pre-risk survey for cars valued above € 30,000.-. In the pre-risk survey they couldcheck the condition of the car and to determine its correct commercial value. The majority of applications are not affected by these check. It can be added to the portfolio without any further evaluation. But what happens if one of these cars was declared a total loss in a previous accident? What if, after an accident, a cash settlement (i.e. compensation without repairing the car) was agreed upon? Such important information should be automatically taken into account in the risk assessment of insurance companies and rated accordingly, thus affecting the premium. Insurers wish to simplify the underwriting process and create as little documentation as possible for the agent and the client. But it leaves room to manipulate data in order to obtain a better price. It is well known that many clients lie about their age, mileage or home address or are advised by their agents to do so. Automated risk assessment verifies the data that clients or agents enter using external and internal databases. If an anomaly occurs, it is flagged instantly. For example, in Greece many people have a so-called holiday home. This is not the luxurious type of living most Western Europeans think of when reading ‘holiday home’. Often it is the family home on one of the islands or in the villages that people had to leave when moving to the capital for work. The difference in premiums between rural areas and Athens can be as much as forty percent. If someone claims to live in a remote area, but his main house has been insured in Athens, this is an anomaly that will be flagged. I will share another example with regard to mileage. Usually, the purchasing price of a car with a diesel engine is higher than one that runs on petrol. This higher price is compensated by lower fuel costs. However, this approach requires an annual mileage of at least 20,000 km. So if somebody declares a mileage of up to 10,000 km per year, but drives a diesel, this should be flagged. Typically, insurance companies only consider the number of claims in their pricing and not the severity of the claims. However, if someone was involved in two small material damage claims, the insured should have a different risk profile from someone who has claimed two major accidents, involving physical injuries. Risk mitigation should also include earlier policies. In some European countries people are not insured as well as in others. There are known cases of people insuring their cars against theft after the car was stolen. These people inform the police about their stolen car after getting their insurance policy. Currently, theft coverage is often priced as a percentage of the car’s value. In some countries it is linked to specific regions. But what if you know that the client who wants to insure an old car against theft, has never done that before? All in all, I think that insurers can benefit greatly from having access to more data. Using software to quickly analyze and compare this data will help them make better underwriting and pricing decisions. Moreover, an automated screening process supports an objective and uniform risk assessment. This will result in healthy portfolios and allow insurers to keep their pricing competitive without compromising their profit margin.